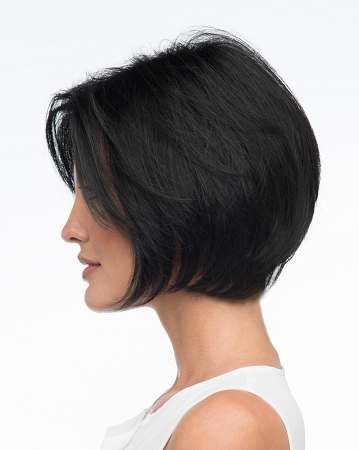 The Abby wig by envy wigs is a short classic page cut that is made of made of 100% human hair. The lace front extends ear to ear to give you the most realistic front hairline ever. The new and improved comfort secure fitting cap and lace front invisibly blends into your skin with easy self application. The lace front can be attached using the special adhesive kit or toupee tape and then blended with makeup. 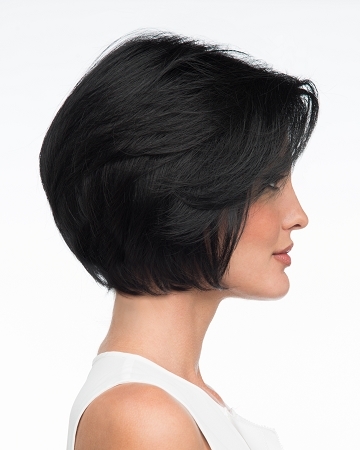 Envy Wigs has one of the most extensive collections of ebony wigs and hairpieces on the market today. Their products are designed with over 36 years of experience and follow the latest African American hair trends.